With a diverse array of beloved characters across all eras of the Star Wars saga, Forces of Destiny is a short-form animated series developed by the storytellers at Lucasfilm Animation. Individual episodes provide insights into the lives of characters and the choices they make, and have repercussions on our understanding of the saga as a whole. 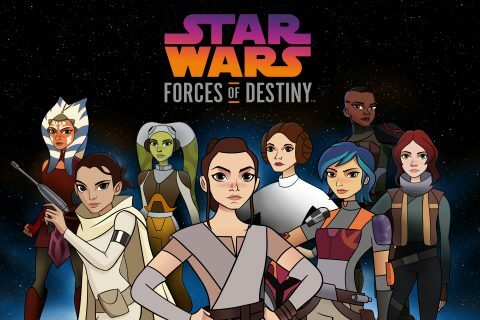 Many of the original actors reprise their roles in Forces of Destiny, including Daisy Ridley (Rey), Felicity Jones (Jyn), Tiya Sircar (Sabine), Ashley Eckstein (Ahsoka Tano) and Lupita Nyong’o (Maz Kanata as narrator). The choices we make, the actions we take. Moments, both big and small, shape us into forces of destiny.